Why spend your students' time learning to identify coins that look nothing like the money that they will deal with in real life??! 5 pages of combined coin identification. 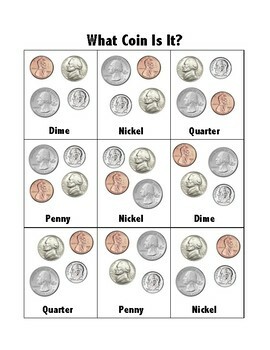 Coins are accurate color and size so as to aid in a life skills/functional curriculum setting. 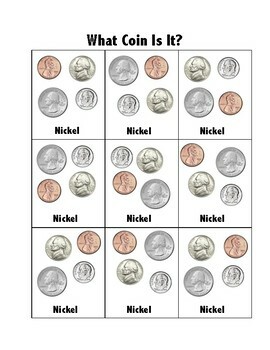 These pages do not address the value of coins ... only the name of the coin. Pages are intended to be printed or laminated for re-use.